ThriftStoreWebsites.Com enables you to have a professional thrift store website with the ability to quickly and easily modify and update it yourself. Each website comes complete with customized thrift store tools, pre-built templates, and loaded content. Within minutes you can have a 40+ page website customized just for your thrift store. 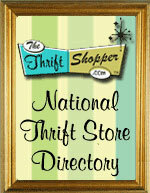 We are the ONLY hosting company dedicated to charity thrift stores. 40+ pages loaded with thrift store content. Thrift Store Tools including: Maps, Calendar, Forms, News, Surveys, Email and more! Templates to choose from, or design your own. Add our FREE 2 hour custom work service, plus free set-up, you will be up and ready to go in no time! *Custom work can be requested after your billing information is completed.